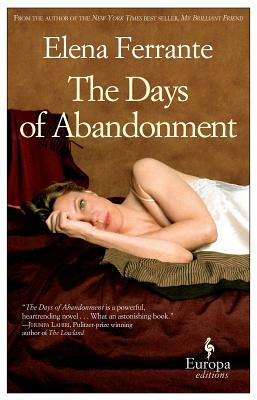 "A masterpiece...The magic of Days of Abandonment remains the fierce intelligence of its narrator." "The writer is immensely self-aware and her frankness is stunning." "Ferrante's novels are tactile and sensual, visceral and dizzying." "Nothing you read about Elena Ferrante's work prepares you for the ferocity of it." "Ferrante's voice feels necessary. She is the Italian Alice Munro." "Elena Ferrante: the best angry woman writer ever!" "[Ferrante] describes the female experience so intimately and so vividly that the reader feels like she could (and should) know the writer personally." "Ferrante puts most other writing at the moment in the shade. She's marvelous"